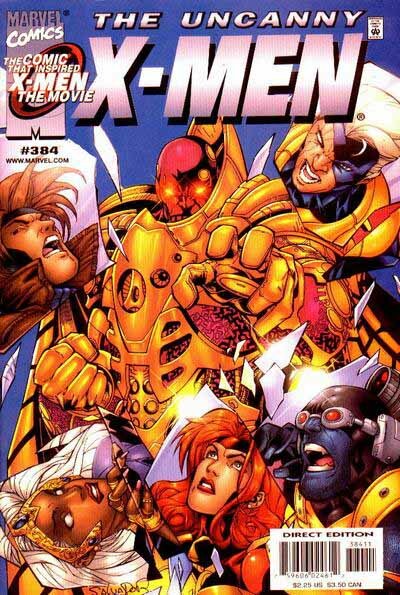 In the latter half of the 1990s, Marvel Comics, and their largest franchise, the X-Men, were both in trouble. The comics boom of the early 90s had run it’s course, and sales were slumping. Marvel, the company, had gone public during the boom years, and this slump made it vulnerable to takeover bids and other sorts of business hijinks that forced the company to declare bankruptcy. During this time, some titles were cancelled, and the company sought to cut costs in any way possible. 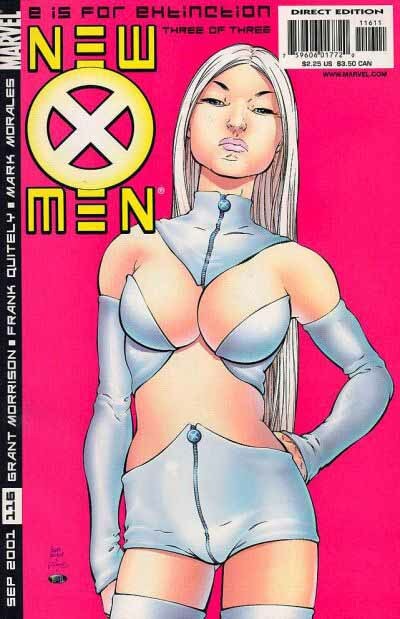 Despite that, the X-Men books were still popular, and the remaining ones continued to sell. 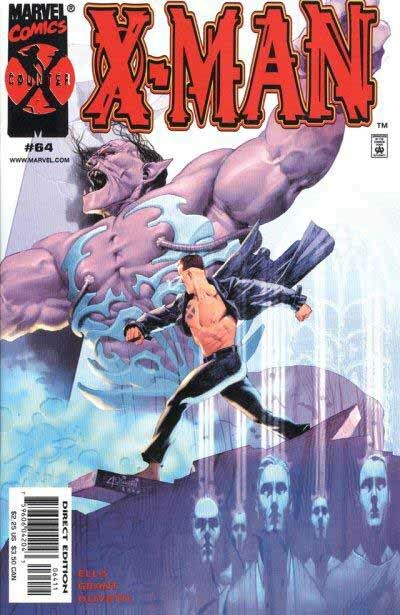 In 1999 a new version of THE ASTONISHING X-MEN began, once more using the tried and true Steranko logo design. 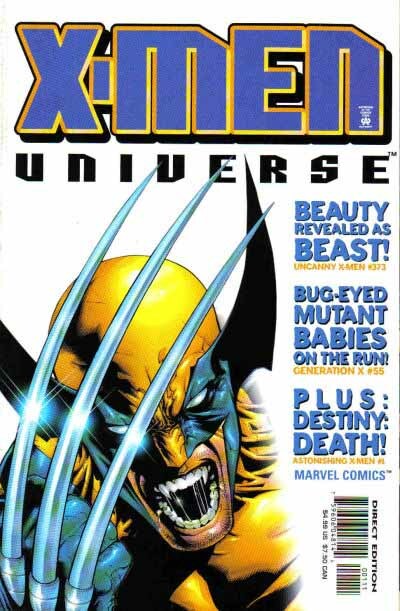 Another new title, X-MEN UNIVERSE seems to be an anthology of some kind, though I’ve never seen an issue, so I can’t say for sure. The cover is designed to look like a mainstream tabloid magazine such as PEOPLE, with a logo created from a very blocky font. Nothing wrong with that, and it does the job quite well. I suspect this was done on staff. The one chosen was the best way, I think, to integrate the subtitle into the original logo design, so I’m glad they went with it. 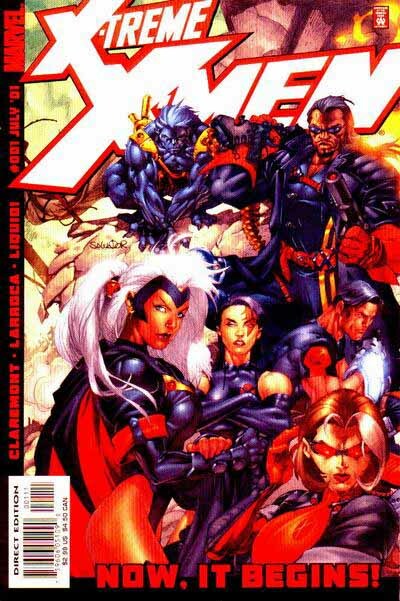 In late 1999 Marvel was planning a storyline called Counter-X that would run in several of their X-Men team and individual character books. The mastermind of the project was Warren Ellis, and he wanted to be involved in the creation of the logos for the books. I was asked to work with him, which I was happy to do. Warren wanted to go very modern, push the boundaries of comics logos, as he intended to do in the stories. I came up with designs he liked, but unfortunately Marvel didn’t like them much at all, and thought they were TOO radically different from what had gone before. This became a tough situation for me, as I was being pulled to two different directions, and ended up doing dozens of versions of the logos trying to make everyone happy, and largely failing in the end. 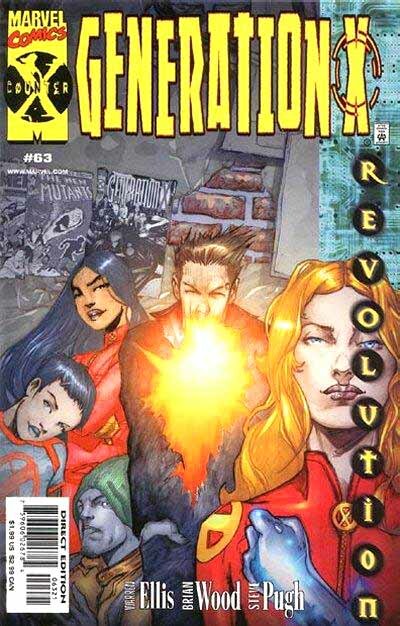 Here’s one of the designs for GENERATION X that Warren liked. Marvel finally accepted it, but as you can see from the cover above, removed the large X background image and used only the title letters, which they once again stretched vertically in a way that I find unattractive. As you can see, the large X background image, with various symbols and pictures, was meant to be a unifying theme. For the actual book, Marvel again dropped the X and stretched the title letters. As a result, no one was really happy with the logos, and they didn’t stay on the books long. These were very likely done on staff at Marvel, though I haven’t been able to find out by who. Not bad logos, but rather bland. There may have been legal or financial reasons against it, but I think they would have been better off using the poster logo instead. In any case, those movie-goers looking for a book about the characters would certainly recognize these titles. 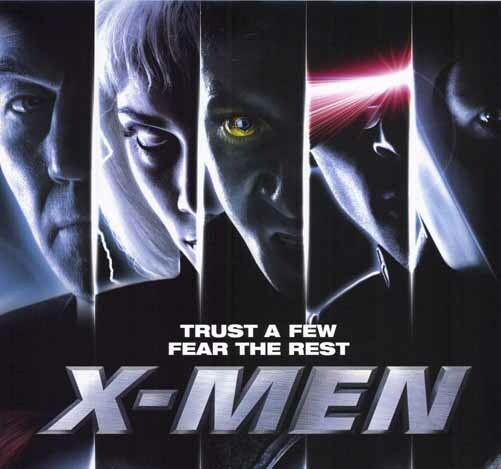 2001 brought several new titles and new life to the X-Men franchise, no doubt energized by the success of the film. This title sported a very clever new logo by Richard Starkings of Comicraft that reads the same upside down. As with other logos of this shape, essentially square, covers have to be designed with space for them, but when they are, as here, the square logo can be very effective. 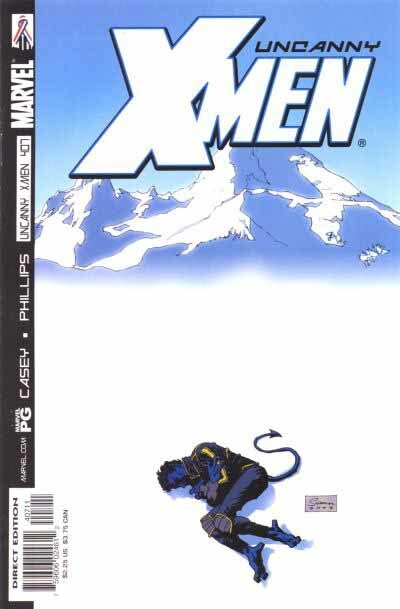 UNCANNY X-MEN also featured a new logo design by Richard. This one goes back to the large X with two longer arms, and puts a techno UNCANNY small above MEN, which has an interesting overlap on the X. 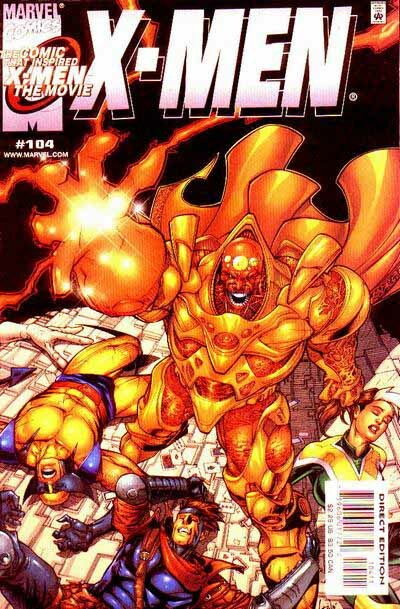 Note that the open outlines and glow effect on this cover weren’t always used. Here’s a later one showing the logo in a more traditional way. Here the weight of the X is really evident, and I still like the overlap of the X and the M. The style of UNCANNY is a nice contrast, thin but attractive. Well done! It’s a little hard to see on this cover, but I like the way the X’s run together. The only down side is the dead area created in the upper right of the cover, though that could have been used for cover lettering or credits, as it wasn’t here. 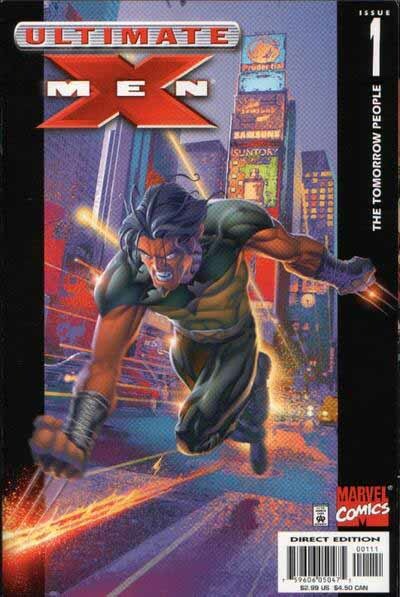 One final new title for 2001, ULTIMATE X-MEN. I haven’t been able to find out who created this logo, and in fact, I think it’s based on one created for the film, but whoever did it solved the design problem I was wrestling with a few years before: how to get the supporting word in FRONT of the X. Here, the title can’t possibly be MEN-X, it has to be X-MEN! The logo has a slick, video-game look, matching the style of the art on this cover, and therefore works quite well. 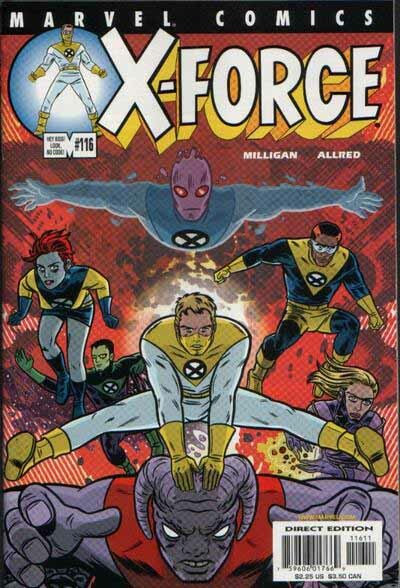 One final logo revamp for 2001, this one on X-FORCE by artist Michael Allred. I haven’t asked him if he did the logo, but I don’t have to, it’s so clearly his style, as well as being a loving tribute to the heroes of the 1960s, and the original X-Men in particular. Allred did a terrific job of capturing that feel, and this logo could have been lettered by Artie Simek, though the telescoping adds a nod to Steranko as well. Great work. We’re not done yet…I think there will be at least two more installments of this lengthy logo study. More next time! This entry was posted in Logo Studies on October 11, 2007 by Todd. 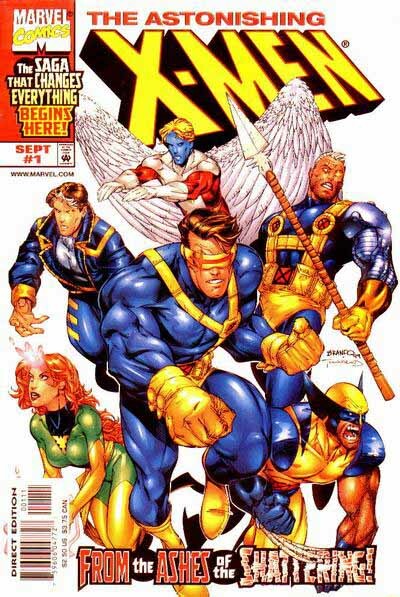 I think X-MEN UNIVERSE was created by Eric Eng Wong, who worked for Comicraft as a designer for three or four years at the end of the 90’s/early 00’s. That’s certainly a JG font there. 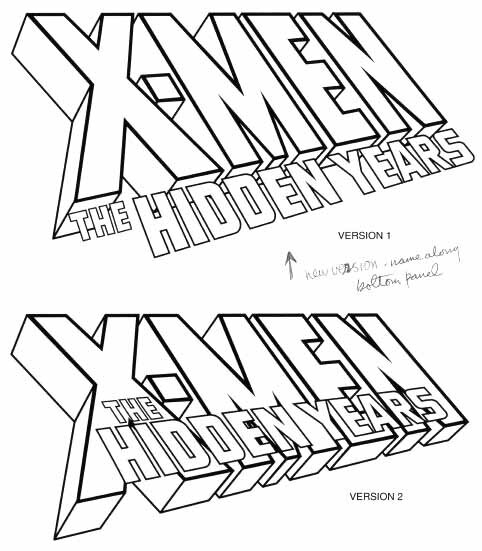 XTERME X-MEN: The problem with all logo designs is that, if you design a logo with a certain format in mind and that format is later changed, the logo is bound to jar with other cover elements. MARVEL constantly change cover elements and cover style and I can barely stand to look at how logos I’ve designed work on covers even just a year later. Working on my own monthly book (ELEPHANTMEN) is so satisfying because ALL the cover design elements (including the image) are under my control. Oh — and those X-MEN movie logos were created by the movie studio I think. I don’t think editor Mark Powers liked them — we did the cover copy in the corner box and tried to tighten up the design, to little avail. Thanks for the clarifications and additional info, Rich! 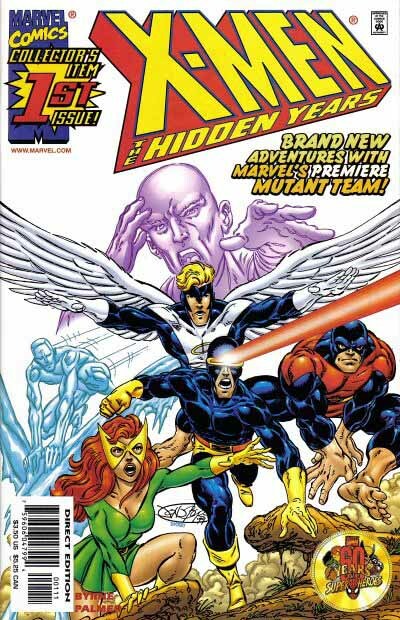 I mentioned this because the double X in X-treme X-Men used the same concept as the Exxon logo. The perspective of the X-treme X-Men logo reminds me of my X-Force logo. Lastly, the Ultimate X-Men logo is somewhat similar to my 1988 X-Terminators design: a very large unhyphenated “X” behind the word “Terminators”. This is really great stuff Todd! I learn a lot more about design and lettering reading your blog!